Bullet proof your rear suspension with UPR Products Pro Street Double Adjustable Upper Control Arm for your 2005-2010 Ford Mustang. Our double adjustable control arm allows for quick and easy adjustments for dialing in your pinion angle and suspension so you get the power to the ground. From our 1/4" Steel U Bracket and Gusset to our 1/4" thick tube end with Energy Suspension Urethane Bushings. All of our Suspension Products are made with the Highest Quality materials and most expensive components. We spare no expense on our products and always stand behind them with our Lifetime warranty that no one else offers. Installs in 45 minutes or less. 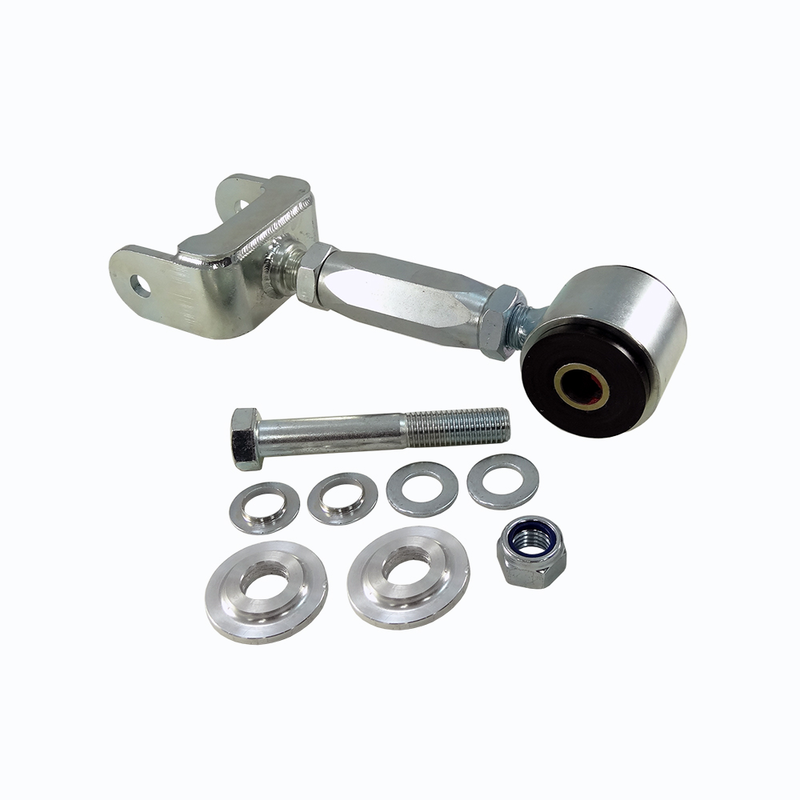 Must be used with an upgraded Upper Control Arm Mount when using this Upper Control Arm. 2005 2006 2007 2008 2009 2010 Mustang GT GT500 4.6L 3V V6 V8 281 Shelby Roush Saleen & Steeda Vehicles. No one else can stack up to the bold clean styling of our aftermarket Billet dress ups, Street Strip & Racing Suspension & Performance Parts for your late model American Muscle Car!